Manto was a superb short story writer who lived in India, and then Pakistan, in the middle years of the last century. Like COLETTE, his best works were in the short story format, and they shocked and scandalised with their honest depiction of sexuality, corruption and plain real life. But where Colette's Claudine novels sold like hotcakes and made her and her husband the talk of Paris, Manto was sued for obscenity. Moreover, his life was marred by the times in which he lived. As a Muslim he found himself a persecuted minority in Bombay as racial tensions rise during partition. As a true Mumbaikar, he doesn't one to join his co-religionists and flee to the new nation of Pakistan. But when even his best friend - a Hindu film star called Shyam - in a moment of anger, swears he might even kill Manto in a mob, Manto finally decides to join his family in Lahore. At first he seems to fit right into the literary life around the Pak Tea House, but in this new impoverished country his earnings are slashed, he's once again tried for obscenity, and he sinks into alcoholism. It's a devastating portrait of a man ripped from the life he knew and loved, never truly at home after that, and maybe just as psychologically desperate as the hero of arguably his most famous story, Toba Tek Singh. Nandita Das' new film of the MANTO story has much to recommend it. 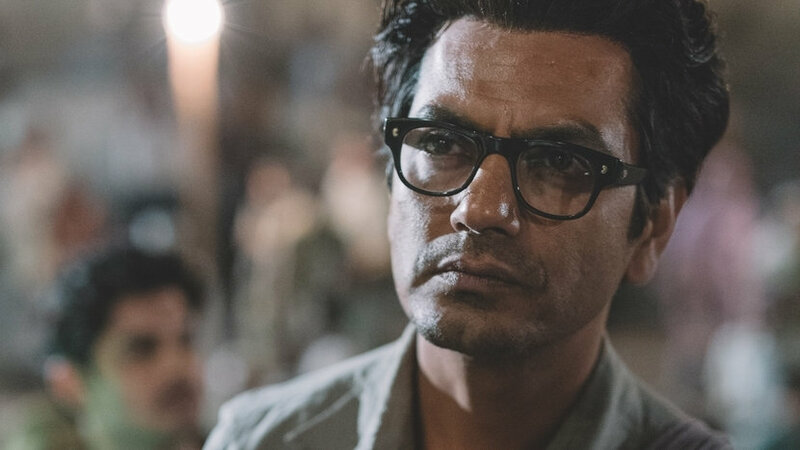 Most importantly, it stars Nawazuddin Siddiqui - the break-out star of Netflix's superb SACRED GAMES. He shows both Manto's charisma and buoyancy in the literary debates of Bombay, but also his stubborn and unapologetic commitment to depict reality and his unravelling in Lahore. There's a particularly moving scene near the end of the film where he realises that his friend has not forsaken him, but is so far gone he cannot reverse his life. And so Manto's tragedy becomes yet another story of the blight of Partition. But so much more relevant because India still faces censorship today. Just watch the Youtube interviews with the makers of SACRED GAMES, talking about how much swearing they could have because they were airing on a US streaming service! I feel Manto would've approved. The other thing struck me - and saddened me - was how Siddiqui plays characters in both SACRED GAMES and MANTO who are driven by, exploited by, their lives blighted by, religious violence between Hindus and Muslims. Is progress even possible on these issues? My criticism of this film is that it might be opaque for viewers unfamiliar with the history of Partition - or even with a sense of the coolness of seeing Rishi Kapoor in a cameo - or a passing reference to someone making Mughal-e-Azam. More seriously, the film seriously loses pace when it reaches Pakistan - maybe a metaphor for Manto's career - but a fatal flaw nonetheless. MANTO has a running time of 112 minutes. The film played Cannes, Toronto and London 2018. It does not yet have a commercial release date.